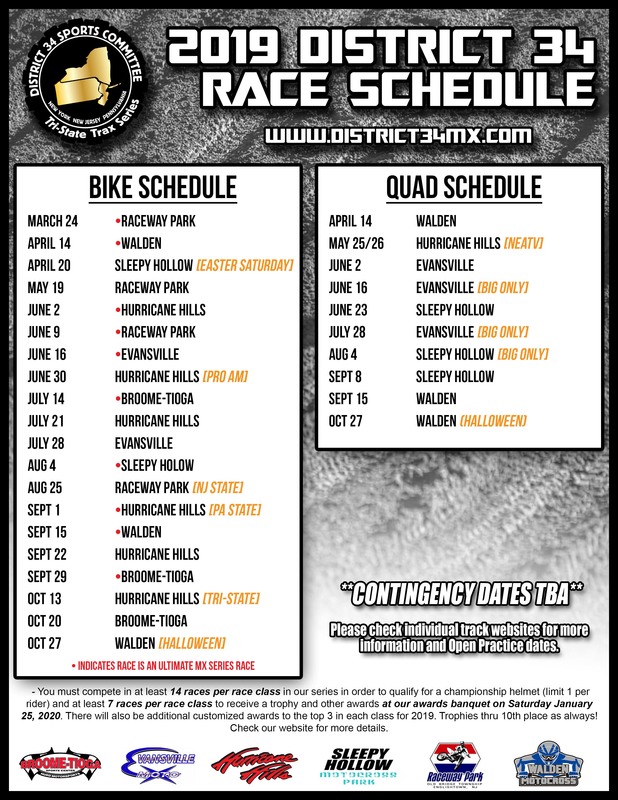 Here is the finalized schedule for the 2019 race season. Please note there have been some changes from the tentative scheduled that was posted earlier in the year. We are still waiting on finalized contingency dates and will post them as soon as we hear back from the manufacturers. Please share to help spread the word and we will see you next weekend (March 23-24) at Raceway Park for the first round of the District 34 and Ultimate MX series!